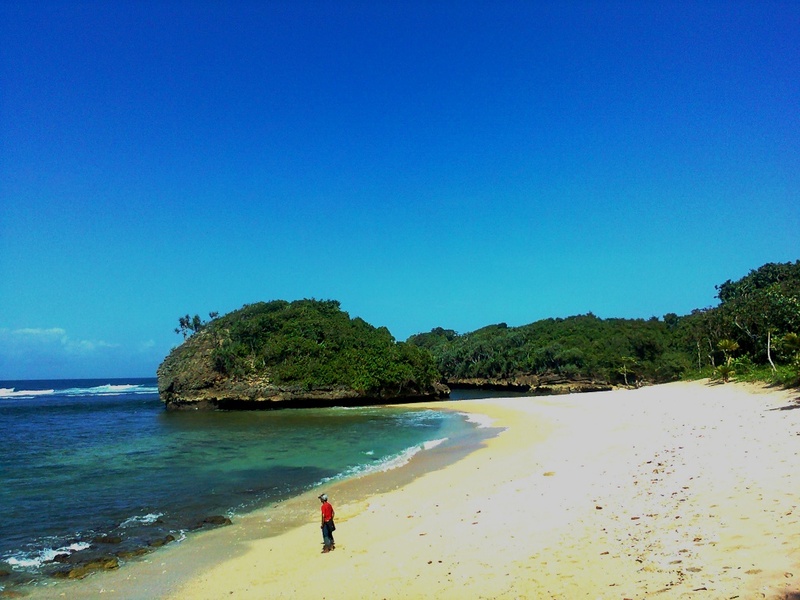 Named Kedung Celeng Beach lies on the South Malang. The beach is located in the hamlet Sumberceleng, Banjarejo village, Donomulyo district of South Malang, here you will feel warmth of the sun with the waves and the captivating blue sea. Kedung Celeng Beach is still maintained because not many people who know and visit here. The visitor’s usually only limited to local residents. Most visitors do activities such as fishing, look for shells, crabs, and some other marine fauna. To get here, from downtown Malang you must follow the directions towards Kepanjen, then headed Pegak then follow the instructions on the way up to Nyliyep. After that you will reach a T-junction and there are road signs, take straight toward Banjarejo, to village Banjarejo follow the main road to the end it will be up Mbantol Beach, from the beach on the west side of the footpath into the forest, follow the footpath westward about 10 minutes' walk up until Kedung Celeng Beach.